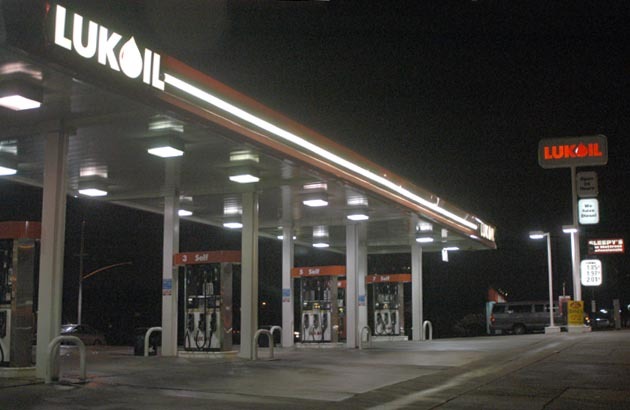 Lukoil is a Russian gasoline chain which has recently 'invaded' the U.S.
white with a red reflection in the drop. 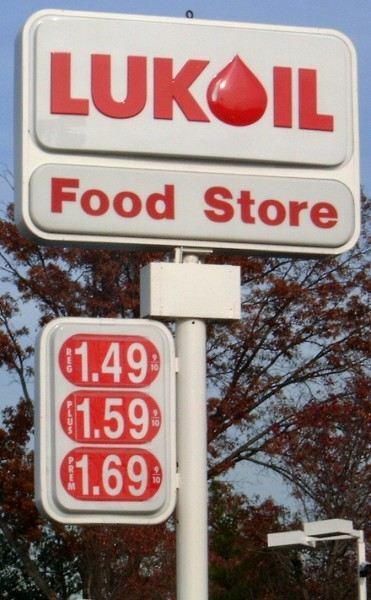 get home in NJ where it is $1.579). 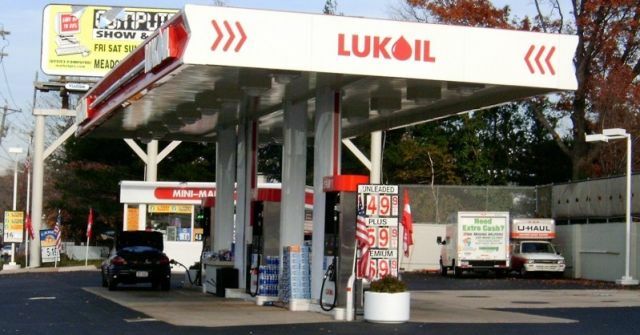 Two shots of a Lukoil in New Jersey. Taken Nov. 2003 by Robert Droz on his US 1 trip.